The first round of the 2019 season saw us back at the Curborough sprint track after our practice day there two weeks ago. The weather was very cold with a heavy early frost and a strong easterly wind that meant that the temperature did not climb much above 5 degrees all day, however, at least it stayed dry. 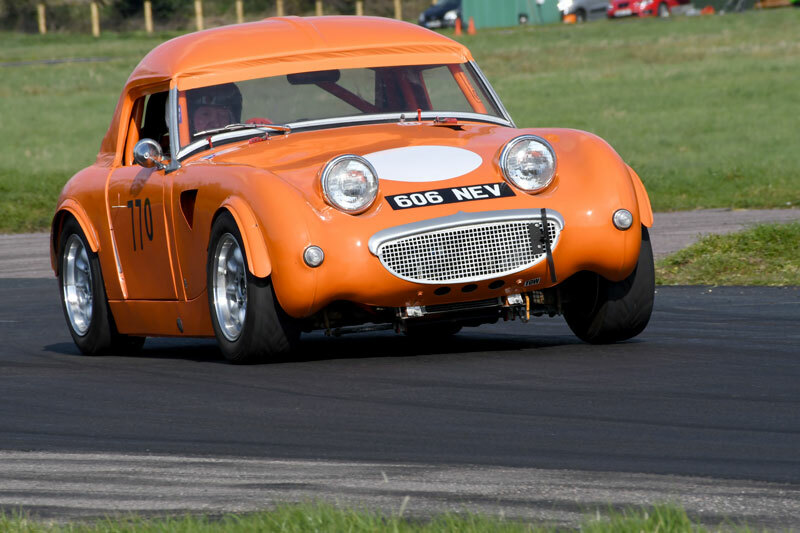 We had 15 drivers spread across our three classes including two guest drivers in the form of Pat Cooper and Joe Mackrell, who were out for the first time competitively in Pat's recent acquisition (pictured right), a race-spec Frogeye Sprite in a very bright orange, which he has nicknamed 'Tango'. As the car does not meet our sprite regs, Pat and Joe were invited guests. The Shand's were out in force, with Garrow and Max out in their new red creation. 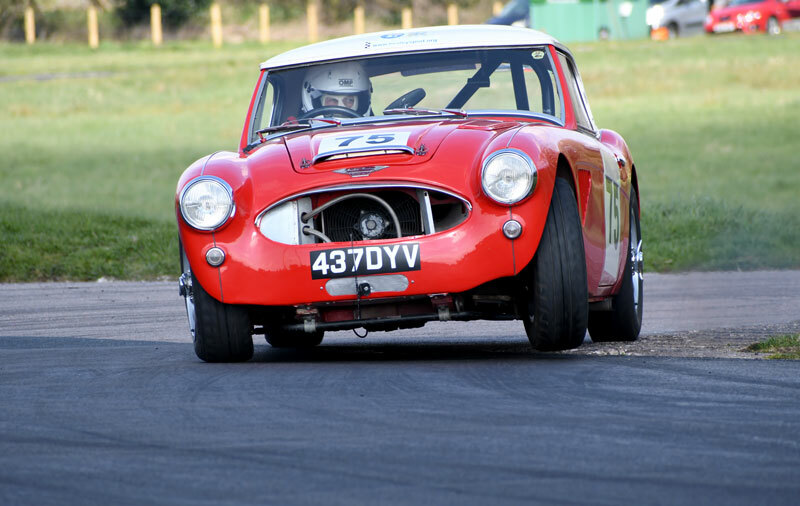 A Mk4 Sprite with a Swiftune 1380cc engine. Also present was Murray Shand in his black 3000. 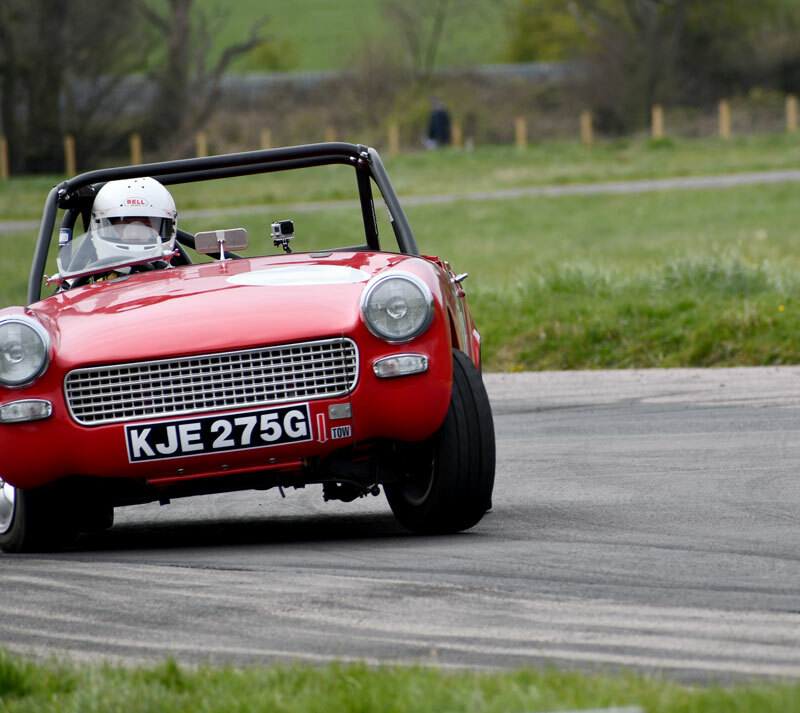 The Sprite class also had last year's champion, Colin Gale in his very green Sprite, as was Robin Johnson in the well know very yellow Frogeye. Unfortunately, Lawrence Maudsley had to withdraw at the last moment from the event but plans to be at Gurston next weekend. In the Big Healey class we had the 3000's of Pete Walton, Trish C-P, Will Richards and Richard Mason in his freshly repainted and very smart 3000 (pictured right)with John Ducker out in his 100. 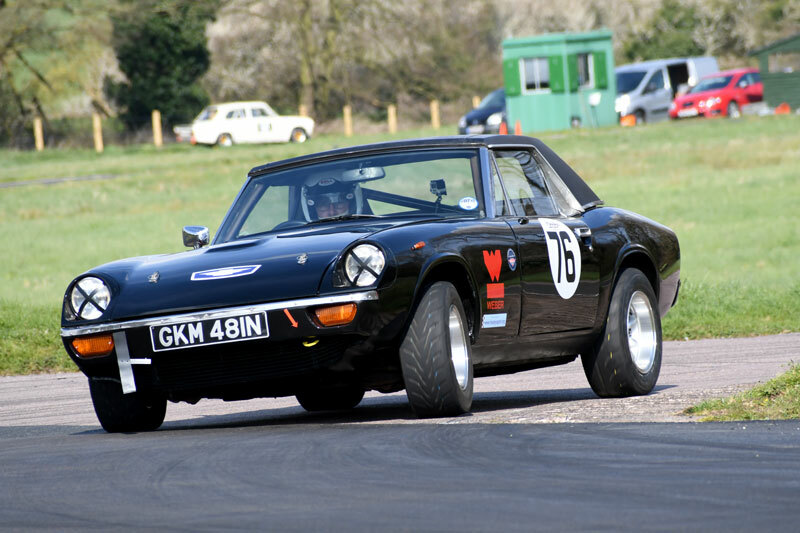 This year we have a second Jensen Healey to give David Lane some competition in the JH class, with Paul Baker out for the first time in his black ex-circuit race car. Practice got underway and despite the cold weather the times were surprisingly quick. Colin Gale headed the timing sheet overall and in the Sprite class with a best time of 68.64, just half a second off his previous best at this track. Richard Mason was quickest in the Big Healey class with a 68.88 and Paul Baker was a fraction ahead of David lane in 73.13. After practice it was clear that Pete Walton's 3000 had an overdrive problem that meant that he could not select reverse gear. After much attention the O/d could not be coaxed into life so the car had to be retired for the day. After lunch, the timed runs started and in the Sprite class it was Colin Gale who continued to improve posting a pb time of 67.98 from Max Shand (pictured right) with a 70.64, then father Garrow in 71.75 and Robin Johnson in a rather tardy for him, 72.77. In the Big Healey class, it was Richard Mason leading but with a slower time of 69.67, followed by Will Richards in 73.15, Trish C-P in 76.03 a whisker ahead of John Ducker in 76.13, and Murray Shand in 82.35 but complaining of engine problems. In the Jensen Healey class, David Lane took the lead with a 72.50 from Paul Baker, a bit further back in 73.25. On to the last run. In the Sprite class, Colin Gale reduced his time further to end with a 67.93 and a pb from Max Shand who knocked off a further second with a 69.58 and a pb (check out the in-car video footage of his run). 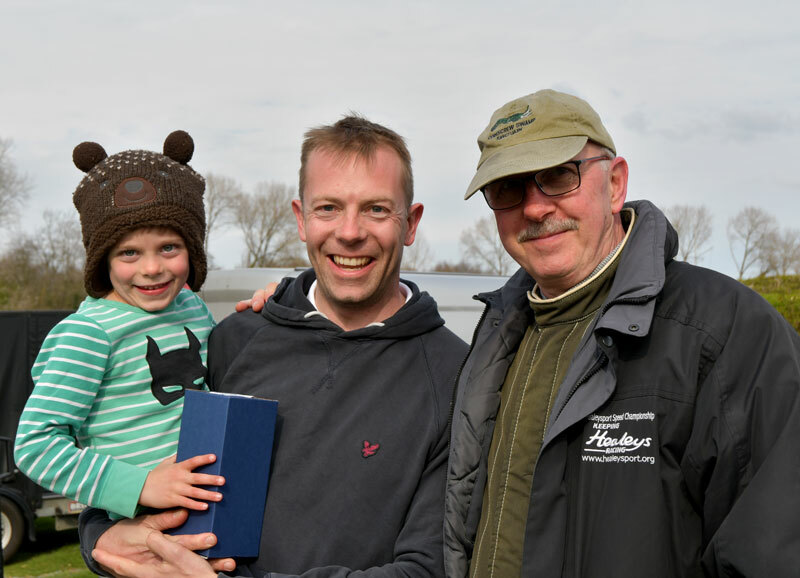 Robin Johnson reduced his previous run time by 2.5 secs to end with a much improved 70.22 from Garrow Shand who finished with a 72.09 and a pb (see in-car video footage). In the Big Healey class, Richard Mason left his fastest run of the day until last, to end with a 68.77 and a pb. Will Richards also went quicker to finish with a 72.80, as did Trish C-P with a 75.10. John Ducker reduced his time to a 75.63 and Murray Shand sorted his engine problems as he knocked over 4 seconds off his first run time to finish with a 77.96. In the Jensen Healey class Paul Baker (pictured right) went fractionally quicker on this run with a 73.18 (see in-car video footage) a whisker ahead of David Lane in 73.25, but David's first run time was the fastest overall. Big Healey Class: 1st Richard Mason, 2nd John Ducker, 3rd Murray Shand, 4th Trish C-P, 5th Will Richards and 6th Pete Walton. So that ended our first outing for the year. We had a good turnout of Healeys and some great racing, but let's hope the rest are a bit warmer. Our next round will be at Gurston Down on Sunday 21 April, so be there if you can. Click on the links to see the full results from this and all events this season. To see all the pictures, in-car and outside videos go to our Gallery page. 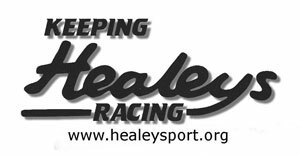 If you want to see the sprint and hill climb records for each class and venue, then go to the Big Healey and Jensen Healey records and the Sprite records pages. Want to start Sprinting and Hill Climbing? If you own a Healey or Jensen Healey and you like what you see on this website and want to find out more then click here to take a look at our Beginners Guide. If you want to get involved, then send an email to Paul Baker our Championship Organiser at paulbaker51@yahoo.co.uk New drivers are always made very welcome.